Product prices and availability are accurate as of 2019-04-01 11:02:23 EDT and are subject to change. Any price and availability information displayed on http://www.amazon.com/ at the time of purchase will apply to the purchase of this product. One red (signal) and one black (ground) 4mm banana contact. 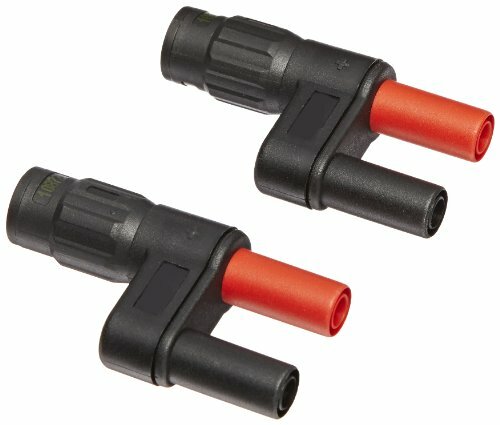 Consists of two adapters. Maximum signal voltage: 600V rms. Maximum voltage to ground: 600V rms. CAT III per IEC 61010-031. UL Listed.